While school was out for the vast majority of University of Toronto students, the university's founding college hosted a coding camp for immigrants and refugees from a half-dozen countries. 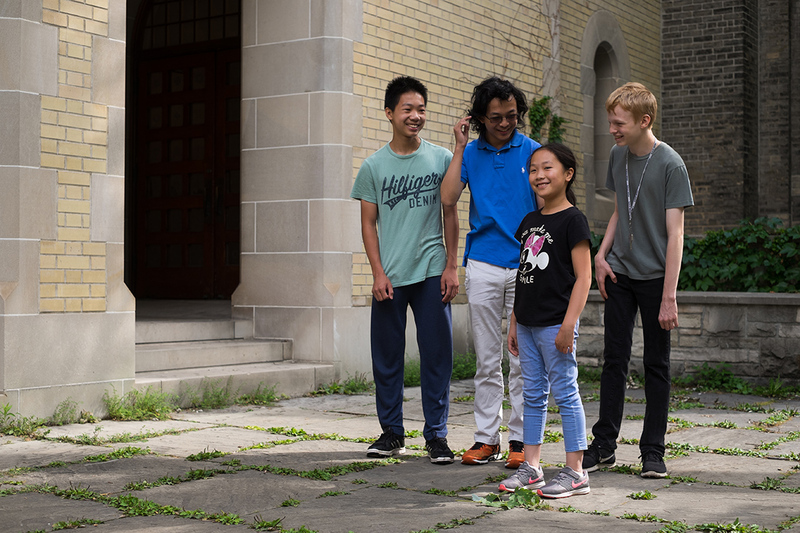 University College opened its doors to the camp, which ran from July 9 to 27, and offered newcomers and refugees between the ages of eight and 12 a crash course in programming. Volunteers from University of Toronto Schools taught the campers how to use programming languages Python and Scratch, a coding language made for kids by the MIT Media Lab. Leo Tenenbaum, a University of Toronto Schools student going into Grade 10, started the camp last year as a pilot project with five Syrian kids. “It can be difficult for them [newcomers] to join into Canadian culture and make friends,” Tenenbaum says. Although a few weeks isn't much time to master programming, the camp introduces the kids to coding so it's easier for them to hone their skills later, he adds. The campers divide their time between the computer lab and the UC quad. The camp's faculty adviser Jennifer Nagel, a philosophy professor and Tenenbaum's mom, says the camp hosted children from the likes of Nigeria, Syria, Congo, Turkey, Somalia and El Salvador. Claire Ho, a nine-year-old camper from China, says she enjoys learning to program. “We can make games by ourselves,” she says, on a break from passing a football around with the camp volunteers. UC Principal Donald Ainslie says the college was happy to work with the camp. “As the university's first college, founded on the premise that higher education should be open to everyone regardless of religion, UC has a long history of welcoming future students from around the world,” he says. UC is the sponsor of the Canadian studies program at U of T. “We have a particular interest in how the different communities that make up our country came together,” Ainslie says. Several faculty have participated in refugee sponsorship groups. “UC One, our special initiative for first-year students, includes a stream focused on Citizenship in the Canadian City, so we thought bringing some of the newest Torontonians to campus for a few weeks made perfect sense,” Ainslie says.